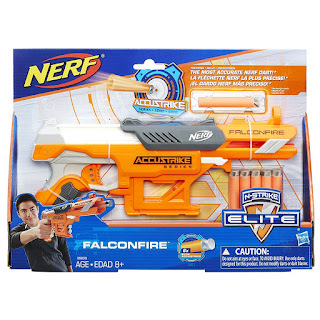 Head over to Amazon where you can score this Nerf N-Strike Elite AccuStrike Series FalconFire for only $7.51 (Retail $14.99)! It features built-in dart storage and includes 10 darts. **Note that this is an add-on item, however, you can buy a few to stash in the gift closet for upcoming parties! Plus, Amazon has the Elite AccuStrike 24-Count Refill for only $3.99 (Retail $9.99). Pick up both items for a fun gift!